The Deepwater Horizon oil spill in the Gulf of Mexico in 2010 is one of the most studied spills in history, yet scientists haven’t agreed on the role of microbes in eating up the oil. Now a research team has identified all of the principal oil-degrading bacteria as well as their mechanisms for chewing up the many different components that make up the released crude oil. 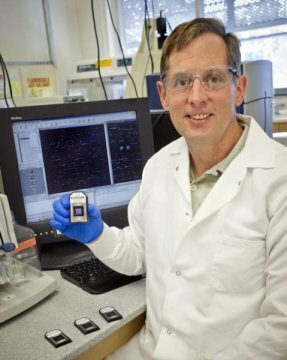 Berkeley Lab Geo-chemical scientist Gary Andersen led a study that identified all of the principal oil-degrading bacteria in the 2010 Deepwater Horizon oil spill.